This past elk season I had the opportunity to put the First Lite Western Big Game System to the test. 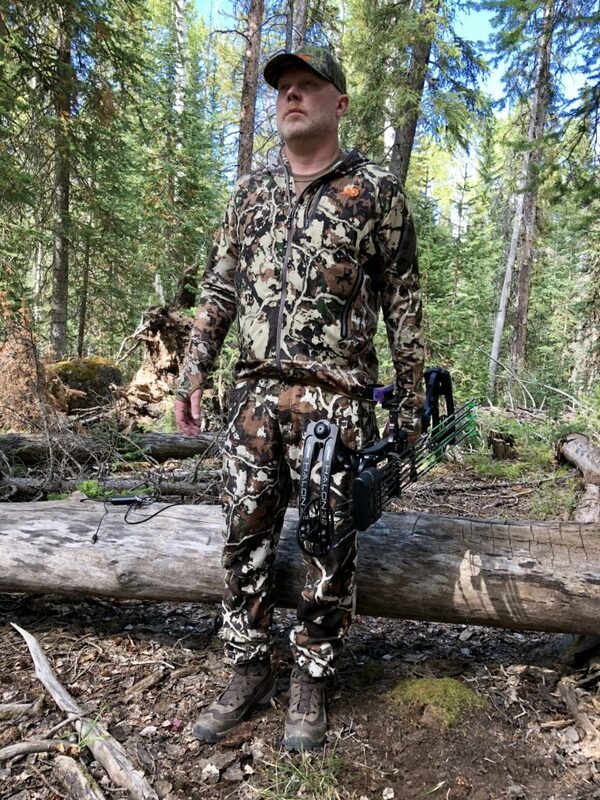 First Lite has developed a purpose-built line of clothing, from underwear and socks to outer layers, for the western big game hunter to all work together as a system that can be layered. 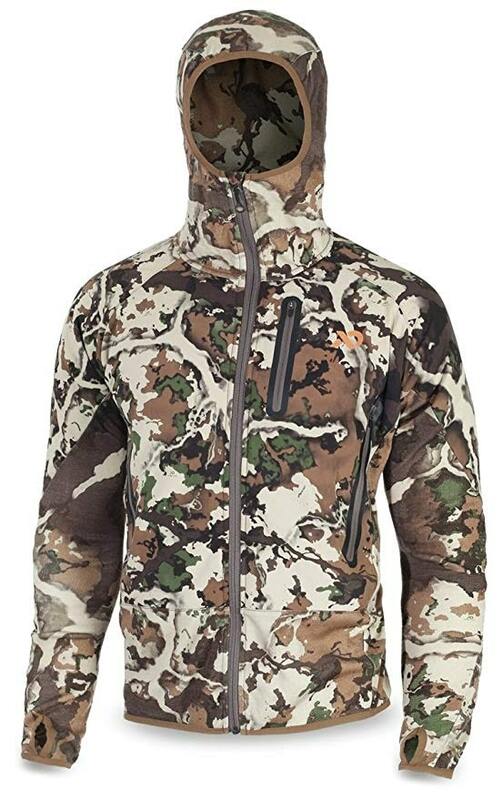 The jacket from the system that I wore during my recent archery elk hunt was the First Lite Sawtooth Jacket. 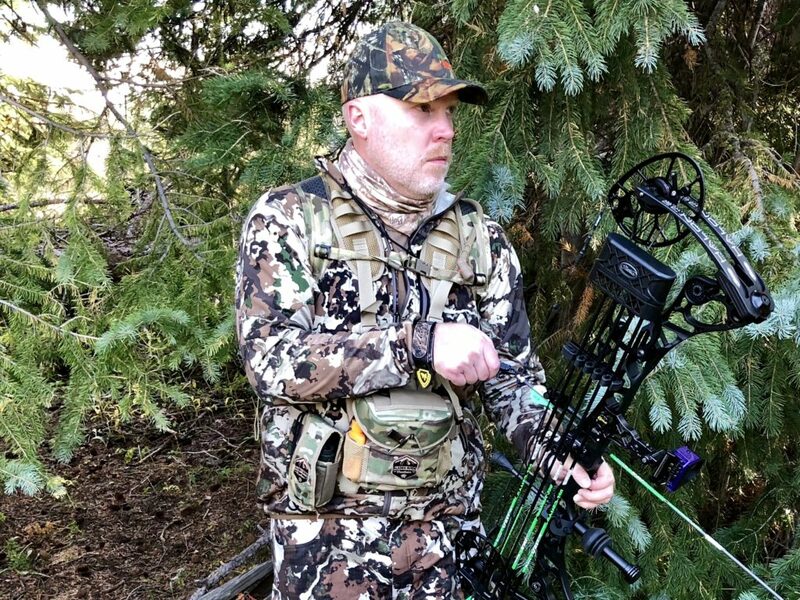 I wore my Sawtooth Jacket over a wicking t-shirt every day of my early September archery elk hunt. It was the right combo for the 45-60 degree temperatures. First Lite takes advantage of the unmatched properties of wool and marries it with some very high tech materials. It’s interesting how they use a variety of materials for different purposes throughout the garment. They use Merino wool to provide odor resistance and breathable warmth. 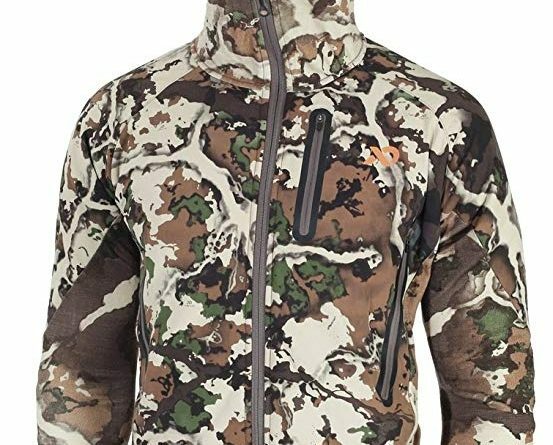 DWR (durable water repellent) coated nylon panels to provide durability and water resistance on the chest and shoulders with synthetic insulation behind the nylon panels in the chest for added insulation and wind resistance. On the back, they use merino for greater airflow in the mid and lower back where your pack typically causes heat and moisture to build up. While I used my Sawtooth jacket as my outer layer, it can be worn in conjunction with additional layers for added warmth. I’m 6’2″ and about 220 pounds. I found the XL size jacket to be a very good fit. Archers will love this jacket as the material is fairly form-fitting without being tight or restrictive. This is especially nice on your bow arm that you have no loose material to snag your string. The thumb-hole that’s sewn into the end of the sleeve also helps keep the fabric from bunching. 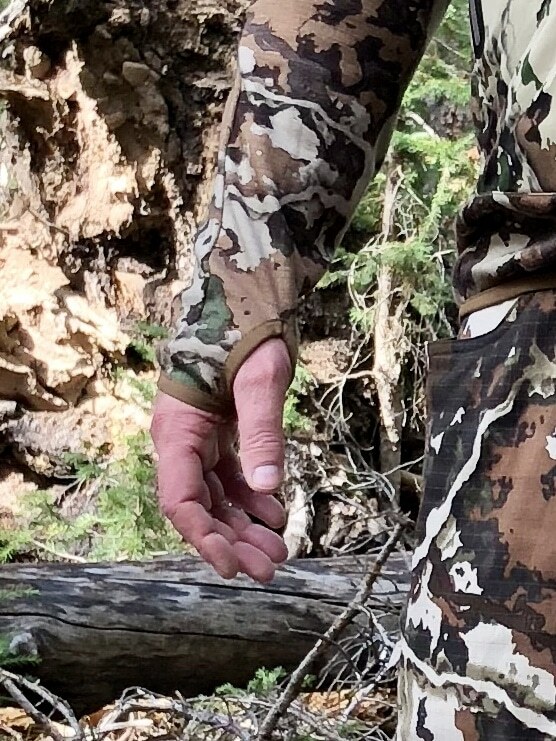 One of the features I really liked about the First Lite Sawtooth Jacket is the thumb holes that are integrated into the sleeves. It’s a great feature for bow hunters. When you live in a garment for 14 hours every day for a week, you’ll definitively know whether or not you like it. The verdict: for my early September elk hunt, the Sawtooth was about the perfect jacket. At about $200, it’s a good value for the quality of the materials and craftsmanship.